Our practice incorporates new technology called VPro5, developed by PROPEL Orthodontics, to deliver gentle vibration to the moving teeth for patients who are going through clear aligner treatment such as Invisalign. 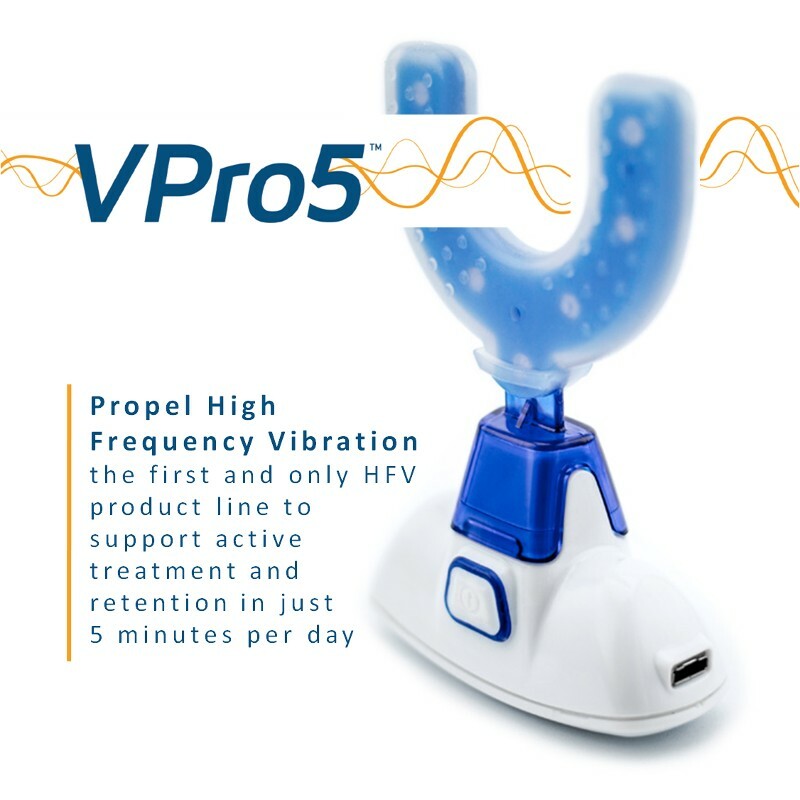 Patient uses VPro5 for 5 minutes per day to stimulate bone remodeling through release of cytokines and biochemical factors in the in the body to turn on bone activity. This biochemical process allows for better aligner tracking, well seating aligner trays, reduce discomfort of teeth movement, and maximize teeth moving speed and efficient treatment outcome.